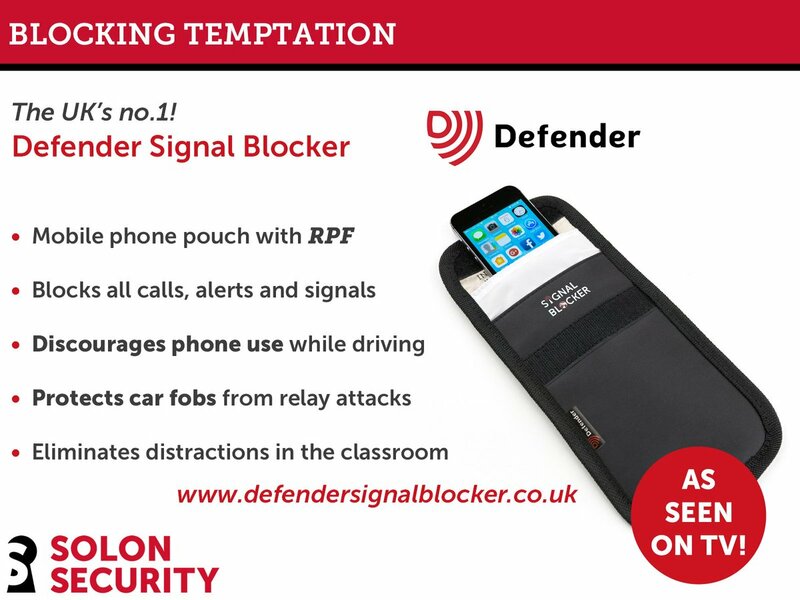 Solon Security has launched the Defender Signal Blocker to stop mobile phone distraction and the theft of keyless cars. When stored and sealed inside the pouch, a mobile phone cannot receive any calls or notifications whatsoever, meaning a driver is free from both the distraction and temptation that an alert from a phone can trigger. However, with so-called relay attacks on the rise, it also protects modern car fobs from thieves attempting to amplify the signal and allow the silent theft of keyless cars. Solon Security’s general manager, Mark Fleming, said: “We know through discussions with our police and road safety customers that a huge part of the problem comes with the distraction and ‘fear of missing out’ that a phone notification creates. Large enough to hold all modern smartphones, the Defender Signal Blocker has the added benefit of protecting a phone from the scratches and damage that may occur from simply being stored in the glove box or door compartment. Together as a community we can help make a safer neighbourhood!